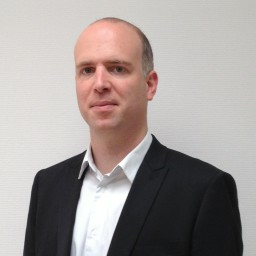 Dr. Nicolas GAUD received his PHD in Computer Science from the University of Technology of Belfort-Montébliard (UTBM) in 2007. In 2005, he received his engineering degree in computer science from the UTBM and a MSc in Computer Science, Automatic and Manufacturing Systems from the Univeristy of France-Comté (UFC). He is now Associate Professor at the UTBM and full researcher at the Systems and Transport Laboratory of the research institute on Transport, Energy, and Society (IRTES-SeT), he is also an external member of the CITAT. His main research interests deal with the modeling, analysis and simulation of complex systems using Agent-Oriented Software Engineering (AOSE), Holonic Multiagent Systems and Multiagent-based simulation. He is also involved in various industrial projects dealing with the simulation of virtual entities (pedestrian, transportation systems, etc) in virtual environments.